Hansel from ‘Zoolander’ Is Michael Jackson’s Ex-Wife? March 14, 2015 // Beauty, Drag, Faces, Fashion, Man, Um, Weave, Why? 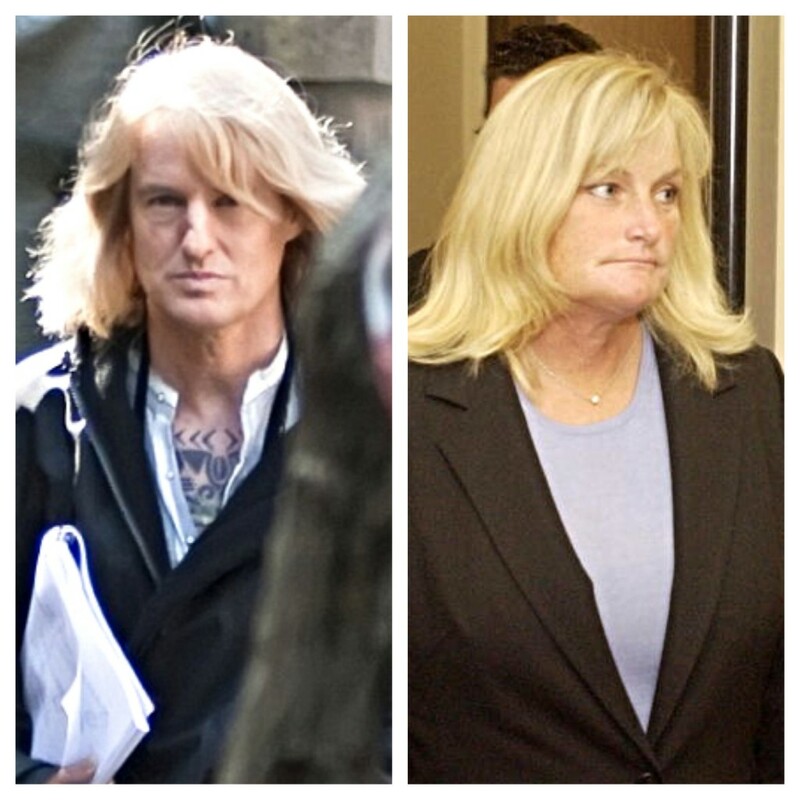 Here’s Owen Wilson, as male model Hansel McDonald, rockin’ a fantastic, blonde Midwestern soccer mom, blown-out, wispy, shag wig from Lowe’s while filming Zoolander 2 in Rome this weekend (left) — and Michael Jackson‘s ex-wife and the alleged biological mother of two of his children, Debbie Rowe, back in 2005 (right). Androgyny is so hot right now.